Skin cancers are malignant tumours that arise from cells found in the skin tissue. There are different types of cells in the skin tissue and abnormal growths of these cells can give rise to different types of skin cancers. They are broadly divided into two groups – non-melanoma skin cancers, which are more common, and melanomas, which are more aggressive. The most common symptom is a skin growth, a lump or a bump that does not go away, and increases in size. These growths are almost always painless and may not be noticed for months, while some may develop ulcers. Another manifestation is a red, scaly patch that does not respond to various creams. Melanomas tend to appear as a dark pigmented area that may represent a mole that has changed, or arose spontaneously. What are the common types of skin cancer in Singapore? Based on statistics from the Singapore Cancer Registry (Trends in Cancer Incidence in Singapore 2010-2014), there are 1,719 and 1,381 cases of skin cancer in Singaporean men and women every year, respectively. The most common skin cancer is basal cell carcinoma, which is typically located on sun-exposed areas such as the head and neck region although they can also occur on covered areas such as the back. Is there a cure for it and what are the treatment types? Most skin cancer types can be cured by excision of the lesion with an adequate clear margin. Depending on the location and size of the lesion, more complex surgical procedures involving skin grafts may be needed sometimes. 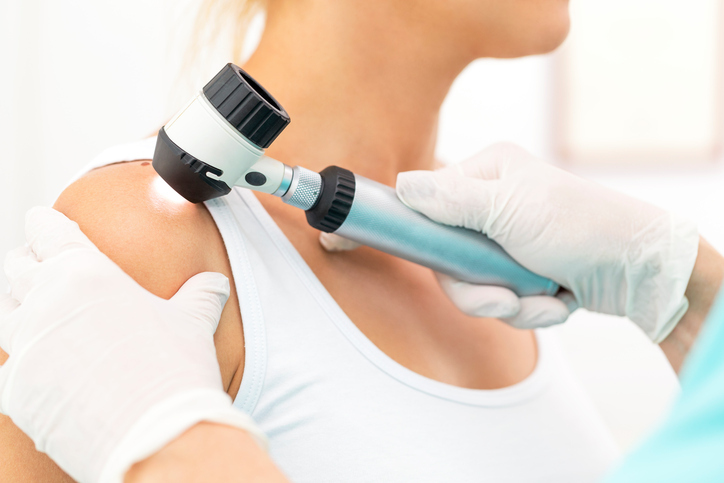 Certain types of skin cancers can also be treated using cryotherapy (freezing with liquid nitrogen), curettage and electosurgery, photodynamic therapy (which uses light and a photosensitising agent to kill cancer cells) and radiation therapy. Use adequate sun protection as ultraviolet radiation from the sun is the most important risk factor. Sunscreen, the use of hats and umbrellas and appropriate clothing for outdoor activities are essential. Skin self-examination and awareness can also aid in the early detection of skin cancers. People with badly sun-damaged skin should see a dermatologist for skin checks as some pre-cancerous lesions can be treated as a preventive measure. Get a broad spectrum sunscreen that protects against UVA and UVB. The SPF (sun protection factor) is a measure of its ability to protect against UVB. I recommend something with an SPF of 30 or above. Protection against UVA is provided by ingredients such as avobenzone, oxybenzone, ecamsule, titanium dioxide, and zinc oxide, so look out for these.